With this in mind, and to help celebrate International Women’s Day – 8th March 2019, leading minor automotive paintwork repair specialists ChipsAway, and the first UK all-women run garage repair and servicing facility, Womanic, have joined forces and will be hosting a live Q&A event on the day. The aim is to encourage females across the country to not only have the confidence to deal with the automotive trade, but also inspire more women to get into the industry and help start to address the gender inequality issue. The Q&A is for women up and down the country to ask whatever they want and glean as much information as they can, to empower them when it comes to dealing with anything related to the automotive industry. “Working for myself is one of the best things about my job, so I can plan around my daughter. That and the fact I love what I do!” comments Louise. 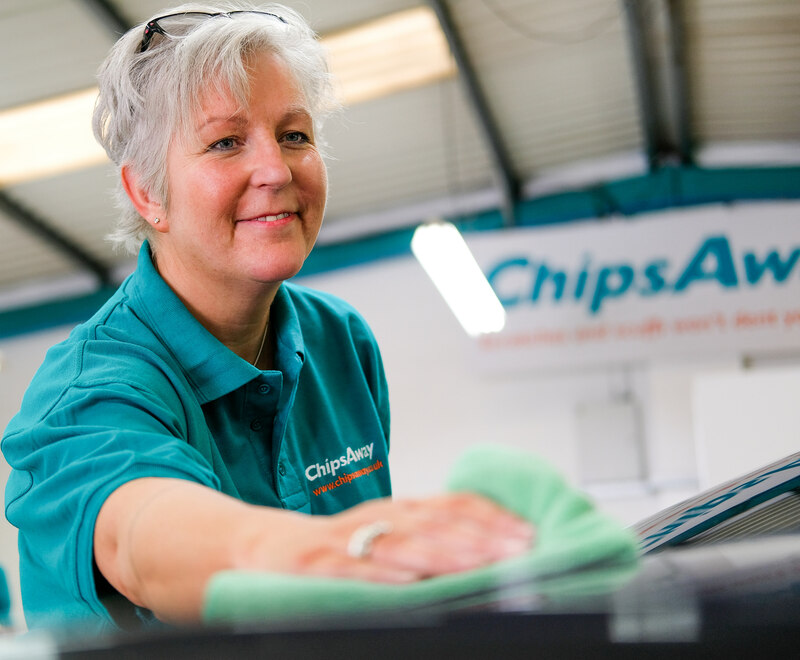 Likewise, Caroline Clennell, one of ChipsAway’s specialists who owns and runs the car paintwork repair business covering Stroud and Cirencester, knew ChipsAway was right from the off! “I wanted to be able to run my own business, but in a field I love. I have always been mad about cars and I previously worked as a studio artist, so I knew I had some practical skills. It seemed a no-brainer. “I still love fixing cars - every day is a different challenge. The biggest thrill is how happy people are with the work I have done. Nothing beats that "wow" from a customer when you hand back their pride and joy at the end of the day. Sometimes they ask me to thank my husband for his hard work and I love their reaction when I tell them it was actually me that carried out the repair!” enthuses Caroline. “You don’t need to be in the trade to know what you’re talking about. Get to know your car, what sounds it makes, maintain it. You'd be surprised what you can learn and what tools are available to help you.” Says Louise. So, if you’re a woman who feels intimidated when it comes to sorting out car issues, or puts off visiting a garage because you are worried you will be ripped off, fear not! Do your research, find out what you’re talking about and this will give you the confidence you need. Likewise, if you’ve always loved cars, and the idea of turning this passion into a business really appeals, don’t be put off simply because you’re female. Follow Louise and Caroline’s lead and do your bit to help change the automotive industry into a better, more-inclusive environment, where women and men are seen as the equals they should be! So, make sure you log in this Friday lunchtime between 12-2pm and ask Louise and Caroline your burning questions! Simply message them via the ChipsAway Facebook or Instagram profiles, and they will be more than happy to respond. For further information please contact Rebecca de Chair – rebecca@franchisebrands.co.uk or 07376 386924. This press release was distributed by ResponseSource Press Release Wire on behalf of Franchise Brands Ltd in the following categories: Women's Interest & Beauty, Motoring, for more information visit https://pressreleasewire.responsesource.com/about.